mikeyt.me: Boycott the News of the World. Boycott the News of the World. How can this story get any worse, I found myself asking. As he put it, the mind truly reels at this thought. How much more could they have done? What else is going to be released? Well, unsurprisingly, more has been released. The first information came on the front pages of this morning’s papers (this time covered by all except The Sun, strange that). 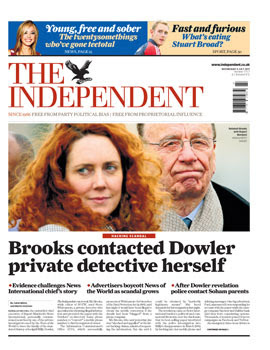 Of course this is all speculation, but Rebekah Brooks allegedly spoke to the private investigator who hacked Milly Dowler’s phone herself. That’s strange seeing as yesterday, she said she had no idea it was going on and was appalled by it. Hmm, that sounds like it’s getting worse to me. Ah, that’s one way how it gets even worse still. 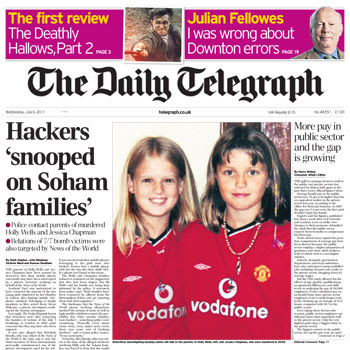 Not only did they hack the phones of Milly Dowler, they also hacked the phones of the parents of the two girls killed in Soham by Ian Huntley. This is getting worse and worse by the minute. What else could possibly come out now?! I refer again to Robert Peston. They hacked the families of the victims of 7/7? Wow, just wow. I have very few words for how bad this is. How much hurt have they caused these people that they hack? How many more people are going to get contacted by the police and be told they might have been hacked by the NOTW. This is just a disgrace and it is sickening. And there is very little we can do. But we are not powerless. The best way we can show the News of the World and News International that their behaviour is not acceptable and they should be punished is by refusing to buy their papers. The News of the World should be boycotted by people all over the country. If the country responded in the same way Liverpool did after The Sun printed ‘that’ Hillsborough story, News International would soon get the point. I already don’t buy the paper. But for the people that do, just know you are funding this corporation who phone hack innocent people who are already going through unimaginable suffering, just to get a news story ahead of their rivals. It is a sickening business ethic which should not go unpunished! The other main thing we can do is put pressure on companies who advertise in the News of the World to stop doing so. Already, Ford has suspended their advertising and a host of other companies are considering following suit. I just hope more suspend their advertising. Kick the News of the World and News International in the two places that they can be kicked, readership and advertising revenue. This is a dreadful offence which cannot and should not go unpunished. 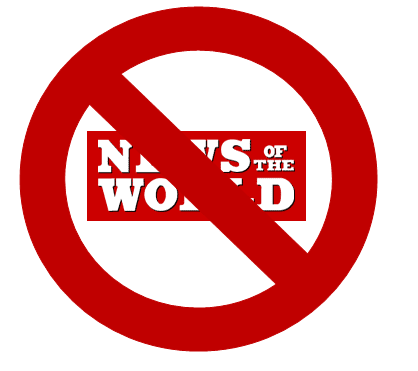 The News of the World and News International needs to be boycotted.